El Cajon, Calif. – For years, FOX athletes have ruled “King of the Hammers,” an extreme competition called “the toughest single day event in the world.” In the event, competitors race across the desert at high speeds, conquering several of the nation’s toughest rock crawling trails. FOX athletes have consistently been the fastest in the competition, earning more titles than all other shock manufacturers combined. 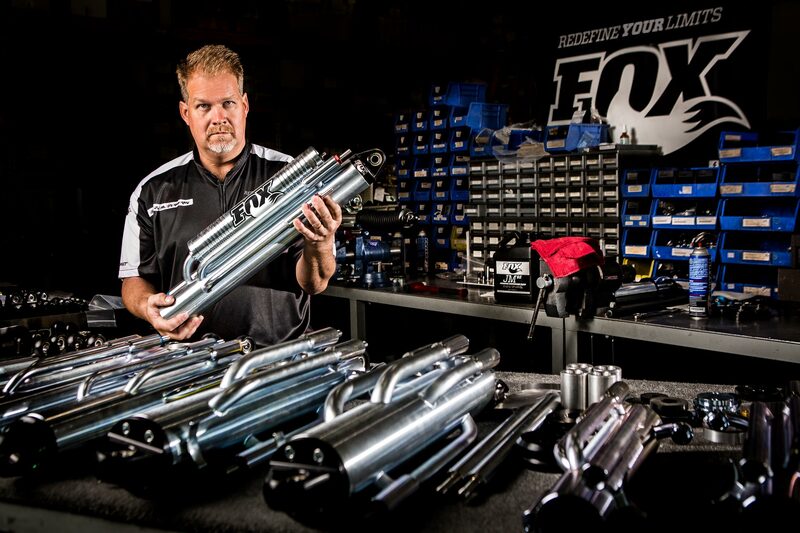 In line with FOX’s dedication to athlete support and service, the company has hired AllTech Motorsports’ Wayne Israelsen to lead its 2014 efforts. “Wayne brings a unique understanding and ability to set up rock-racing cars to win. Adding Wayne now gives any team with FOX shocks an edge over the competition,” said FOX athlete and 2012 King of the Hammers champion Erik Miller. Israelsen and the FOX Factory Race Support team will be conducting two testing sessions in Johnson Valley prior to the 2014 race. During these sessions, they will observe the racecar’s performance and review technical feedback from the driver, and then will consult with the driver to implement any performance adjustments. The FOX team will be set up on the lakebed Friday and Saturday, December 27th and 28th, and then again on Friday and Saturday, January 17th and 18th. FOX techs will also be onsite starting on January 31st and will remain the entire race week. There are a limited number of testing sessions available and signing up in advance is recommended. To schedule a FREE tuning and set up session, please email Wayne at wayne@alltechmotorsports.com or call 951-970-3399. Spend some time making the most of your vehicle’s performance and then take advantage of FOX’s lucrative contingency program. FOX will be paying $15,000 in cash and product purses for the Ultra4, EMC Stock, EMC Modified, and Spec classes. To be eligible, make sure to get your approved FOX decal and placement location at the FOX compound in Hammer Town. FOX is a registered trademark of Fox Factory Inc. King of the Hammers is a registered trademark of Hammerking Productions, Inc. All rights reserved.